From time to time, I sit back and evaluate my purpose and progress in maintaining a blog. Three years ago, on a lark after I retired from the world of education, I started my first blog, Janice Heck: My Time to Write. I tiptoed into the blogosphere, filled with beginner’s anxiety, to test the atmosphere. I joined Kristin Lamb’s little army of baby bloggers in WANA112 (We Are Not Alone) and launched out into unknown territory. But look! Now, almost three years later, my blog is still alive, still begging for fodder, still holding my attention, still getting regular visitors. I love blog challenges and have entered a number of writing and photography challenges. My first A to Z Challenge (to publish a post six days a week in the month of April) in 2012 helped me prove to myself that I really could blog every day. I began to see myself in a new light: as a writer and a blogger. Since then, I have joined the A to Z every year and met that same goal. In the process, I have met many amazing bloggers and photographers. Here are my three survivor badges from those challenges. I joined other challenges well and enjoyed posting on them: Cee’s Photo Challenges, WordPress Weekly Photo Challenges, Post-A-Day Photo Challenges, and others. Feeding my blog has been easier than I thought possible. Funny thing, though, the posts that I thought would be the least interesting have turned out to be the ones that people search for: grammar posts, “writing quirks,” and other topics related to writing. With the exception of one oddball post, Two Oceans Meet in Gulf of Alaska. 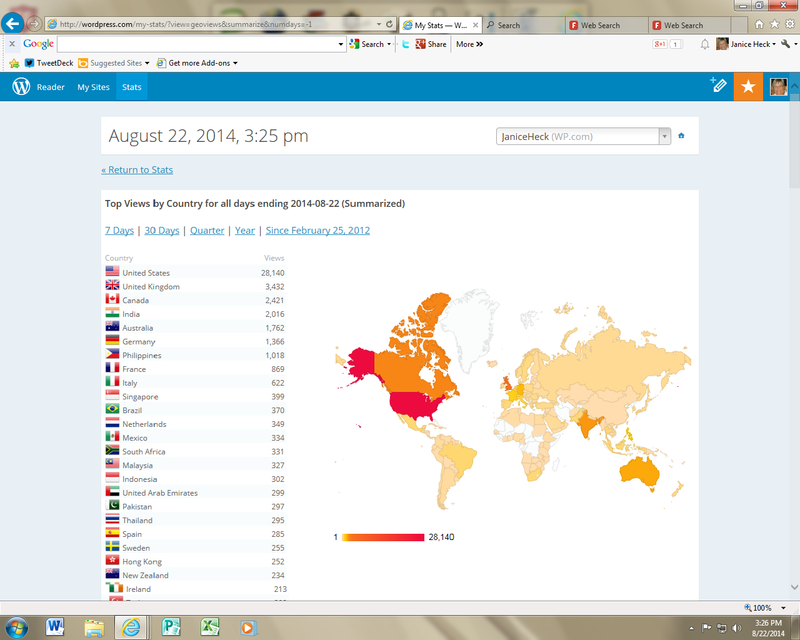 Not., which has now had 15,279 hits, the English writing and grammar posts get the most daily visits. (For a sampling of these posts, check the end of this post.) Other posts have shorter term interest. The stats on my blog dashboard indicate that my free WordPress blog is currently at 87% capacity (2667.67 MB). In other words, a decision point. Should I shell out some bucks and buy more space? Or should I morph into a dotcom? WordPress encourages me almost daily to do either of these things. Should I? Shouldn’t I? He called me on my eclectic writing behavior, my tendency for random thinking, my propensity for great ideas, and, well, my many unfinished writing projects. How did he know? At any rate, I see now, that he was right. And that is the issue on my current blog. It is eclectic. On the one hand, that is good because it has wider audience appeal; on the other hand, people who visit my blog looking for help with writing have to surf through all sorts of material not immediately relevant to writing. With T. S. Eliot’s line from “The Love Song of J. Alfred Prufrock” firmly in mind, “decisions and revisions which a minute will reverse…,” I started playing with a blog (Janice Heck Writes) that has been sitting dormant on my WordPress shelf since I initiated my first blog. Now with my first blog pool almost filled to capacity, I have decided to officially launch Janice Heck Writes as a dotcom. focusing completely on the writing process and writing craft. My goal is to help writers move to the next level in their writing abilities, whether they be wannabe writers or published writers. As I attend writing conferences and meet and read the writing attempts of many wannabe writers, I encourage them to keep writing and writing and writing. Then when I notice the randomness of their writing, I tell them to focus. There it is. That advice given to me more than ten years ago has come spouting out of my own mouth! We become like our own editors! While natural talent and a wide background in reading help create a good writer, a strong grasp of writing craft (grammar, usage, punctuation) helps build a writer’s power. Effective writing strategies can be learned. 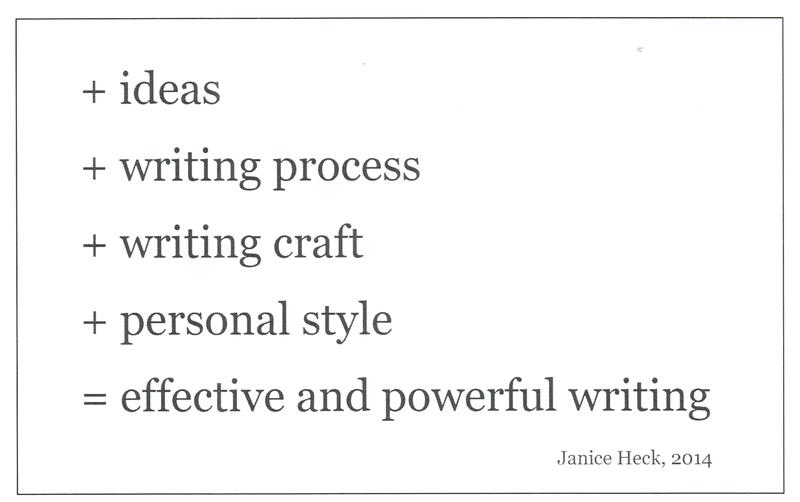 So this new blog Janice Heck Writes: Power-up Your Writing! Build Your Writing Craft will focus on the specific writing techniques to enhance your writing as well as quick fixes for the most common errors in writing. I will also include book reviews and writer interviews that focus on building effectiveness as a writer. Of course, I will keep my darling kitties (a regular feature on my first blog) in my posts as often as possible because their witty remarks often bring chuckles to readers… and extra comments to my blog. But don’t worry, my dear eclectic readers, I promise to post on this ole blog as well. Since I love the writing and photography challenges and the relative freedom of topics of my first blog, I will continue to post there. Gradually, I will pull my grammar, usage, punctuation, and writing tips posts over to the new blog. So, what do you think? Am I making the right decision? Do I have any other options? “Don’t Use Adverbs.” Book Reviewers Use Them! Common Errors or Effective Writing?